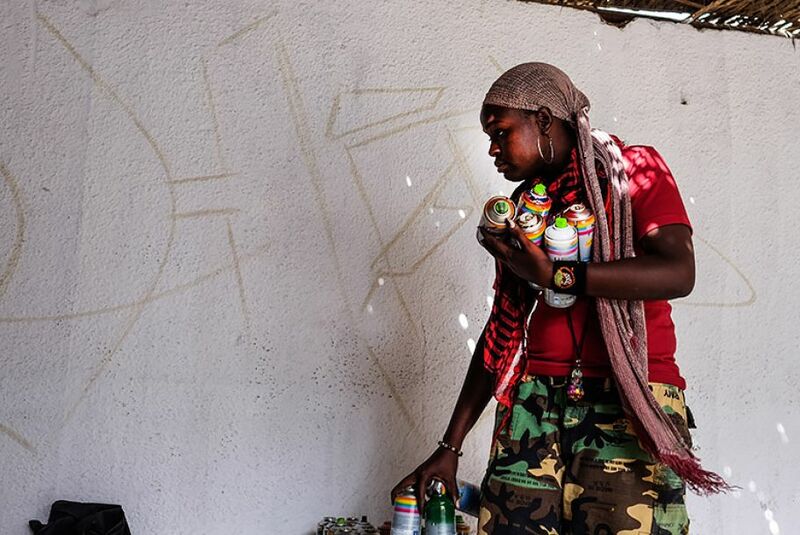 Senegalese graffiti artist Dieynaba Sidibe is challenging views on women’s roles and calling for equality, one spray-paint can at a time. 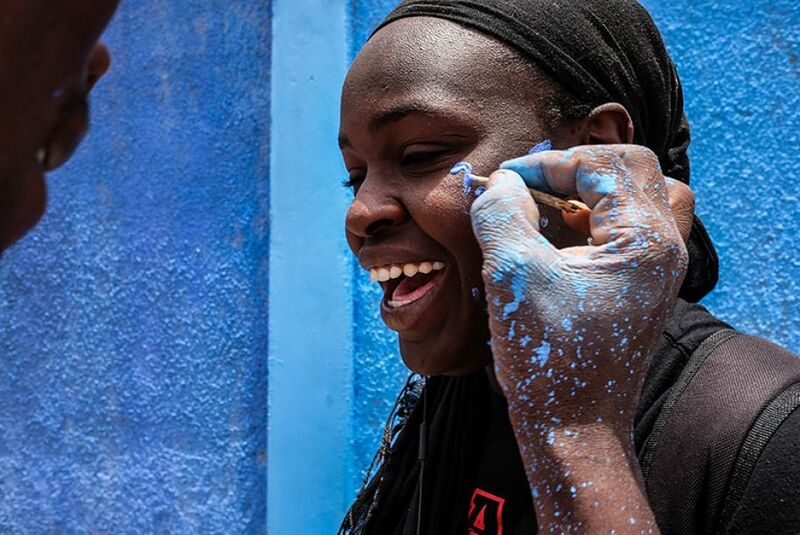 Growing up in Senegal’s capital of Dakar, Dieynaba Sidibe loved painting and often used her pocket money to buy art supplies. 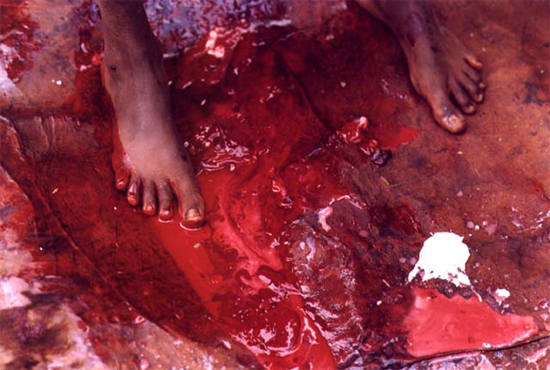 One day, she came home to find that her mother had thrown out all of her paints. 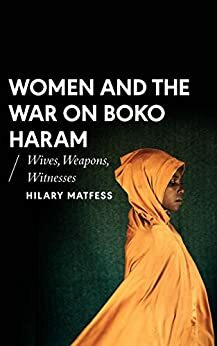 Women shouldn’t be painting, her mother believed, and she encouraged her daughter to be a doctor instead. 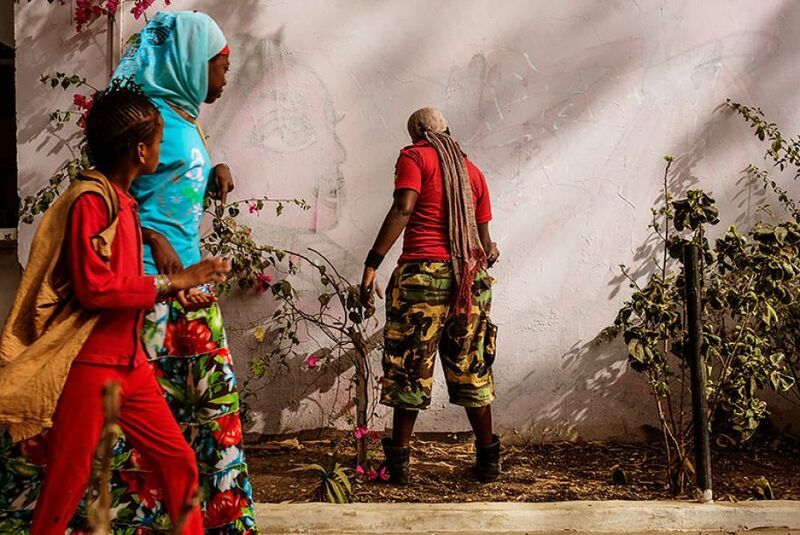 At 24, Sidibe is now considered Senegal’s first female graffiti artist. 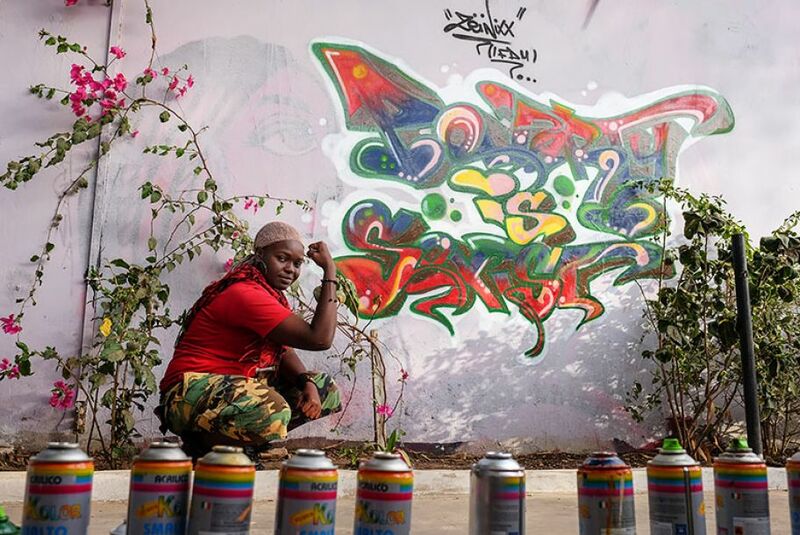 Graffiti art is frequently employed in West Africa as a tool for social change. 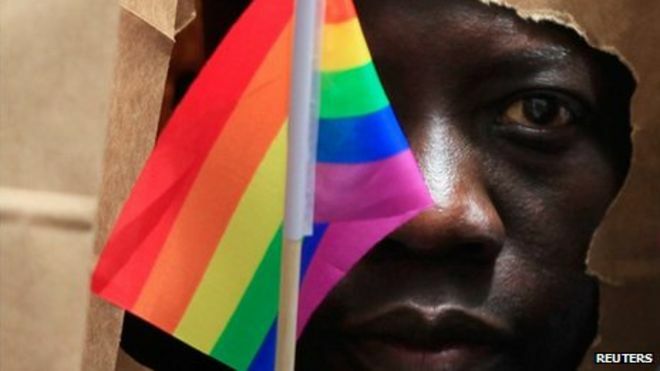 Sidibe, who goes by the artist name Zienixx, uses it to promote women’s rights, including equal pay and educational access. 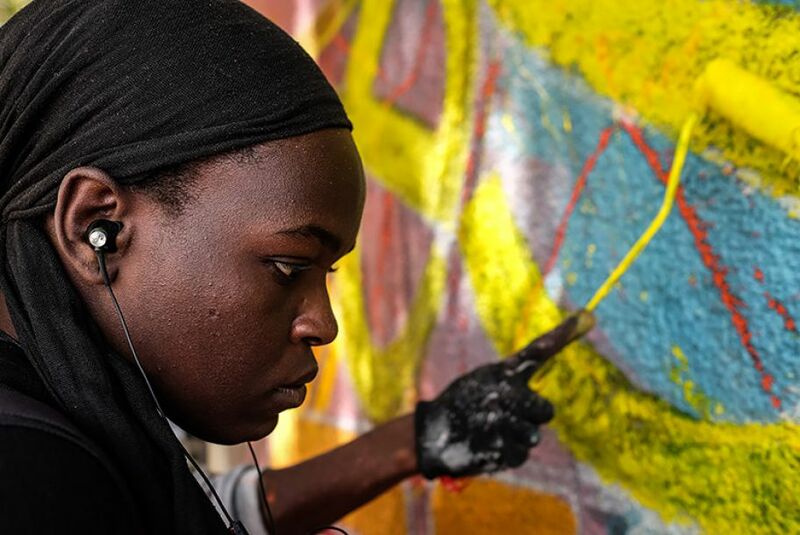 While Sidibe’s family now supports her graffiti art, she’s reflective of the fight it takes for women to exert their independence and abilities.